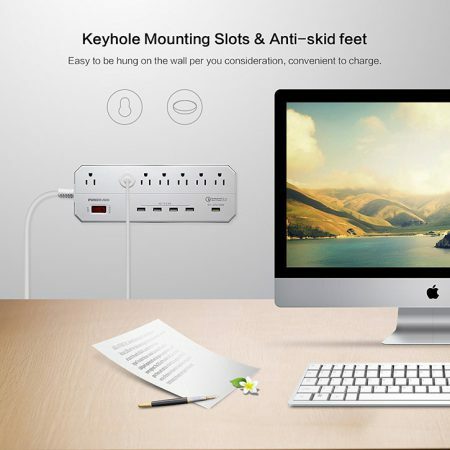 This USB power strip has an ergonomic wall mount design. 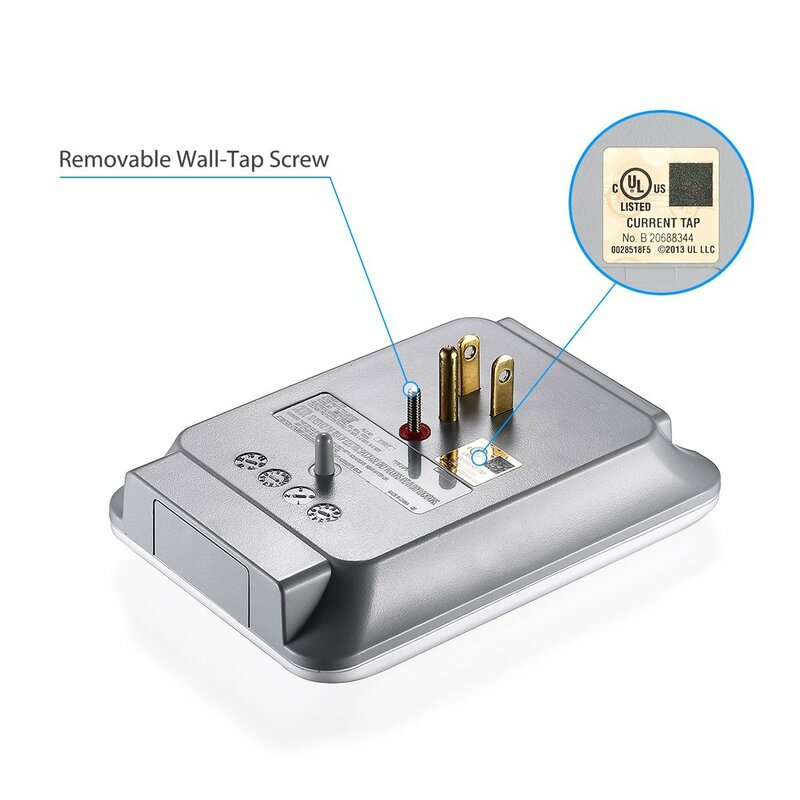 It’s easy to install the 3-outlet surge protector on a spot on the wall. 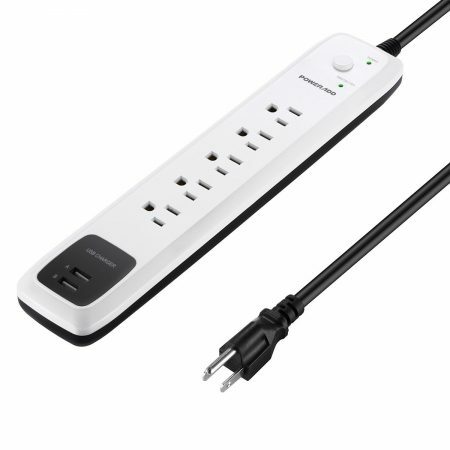 The power strip has 2 USB ports and 3 AC outlets for convenience of using several electrical appliances and USB devices simultaneously. 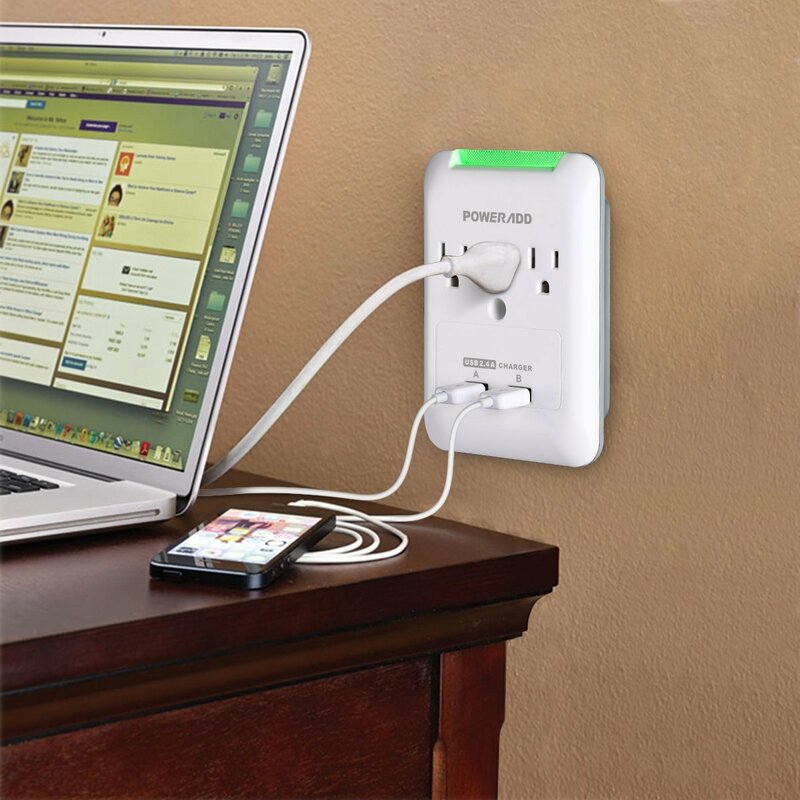 Poweradd wall mount 3-outlet power strip with USB is a UL listed product for great reliability and safety standards. 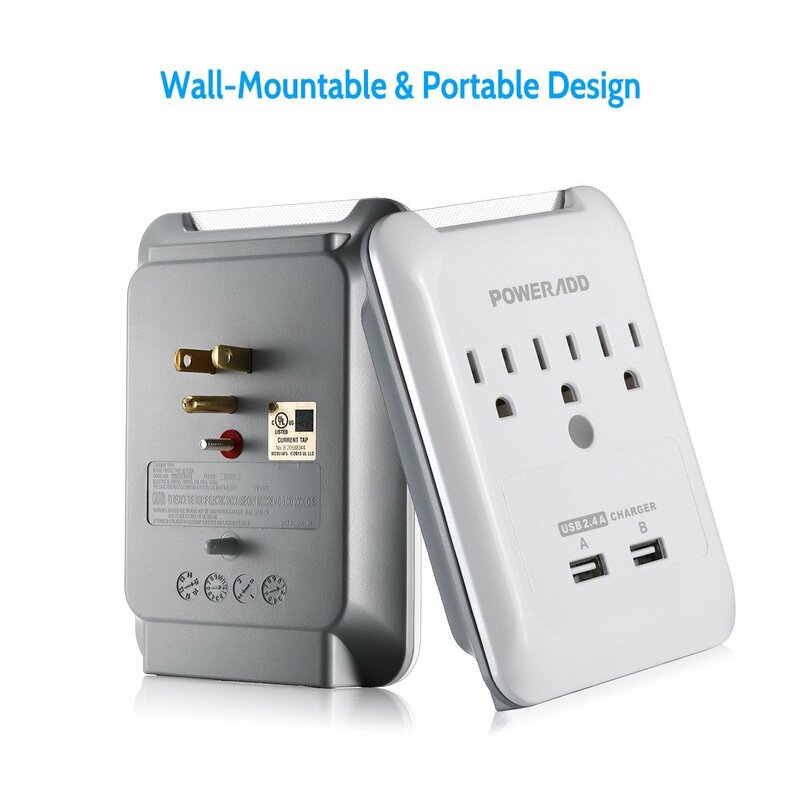 It works as a great surge suppressor, the 3 AC outlets has 1080 joules of surge protection from surges and voltage spikes. 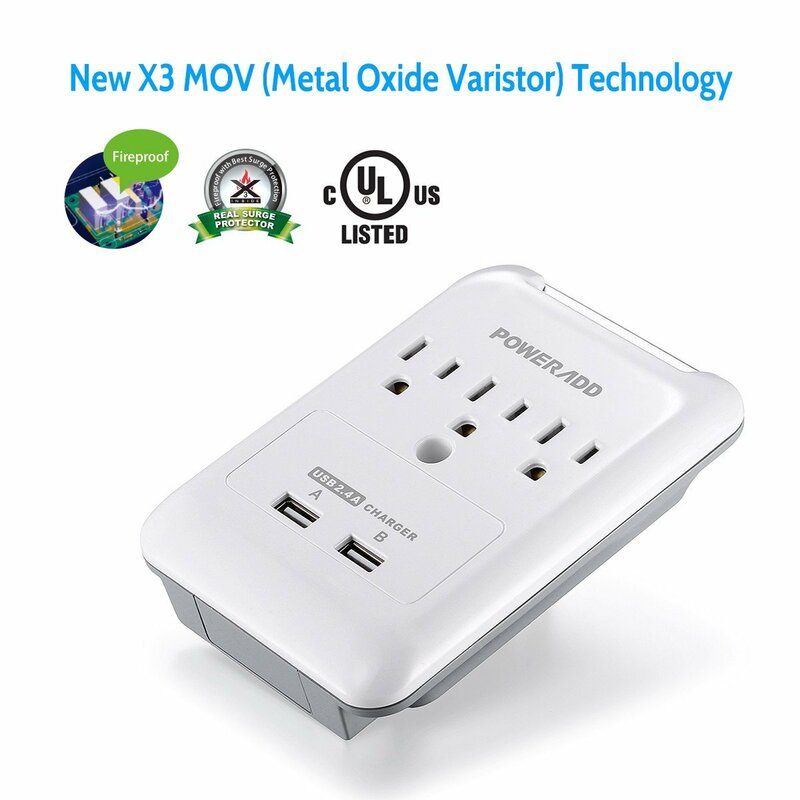 Advanced X3 MOV Technology: This USB surge protector has highly protective metal oxide varistor hard inside for protection against overload and over heat. 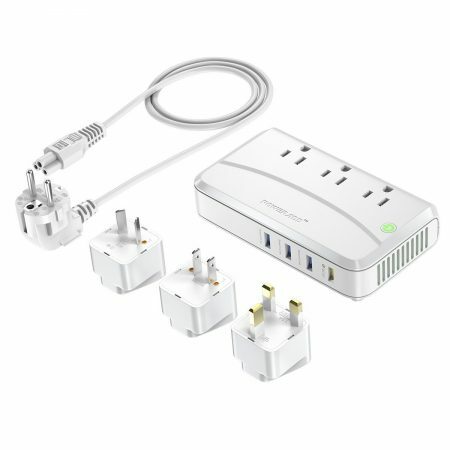 This USB charger and power strip is a most useful tool for your home and office. 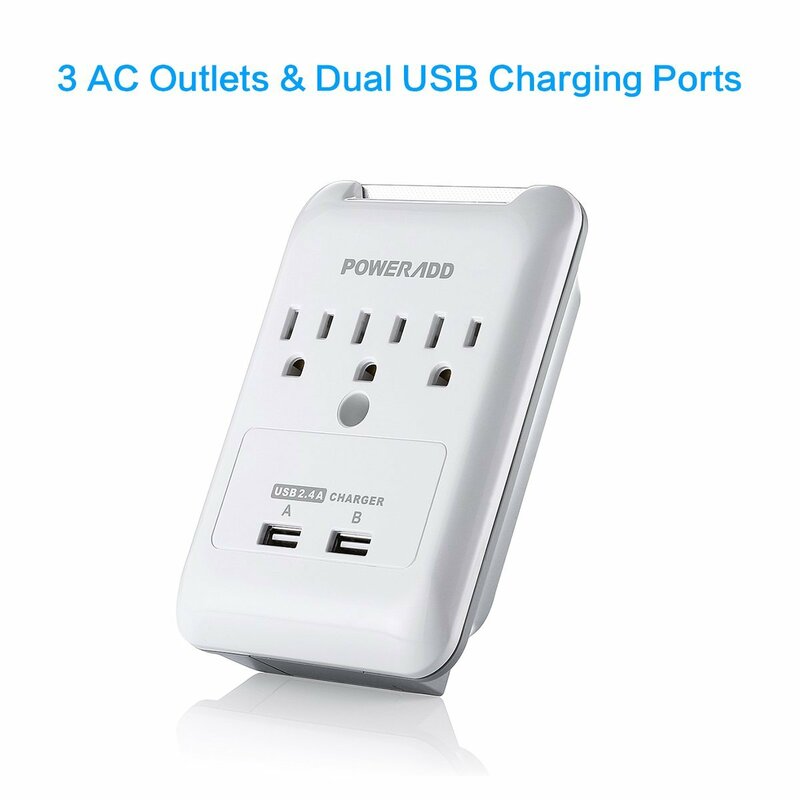 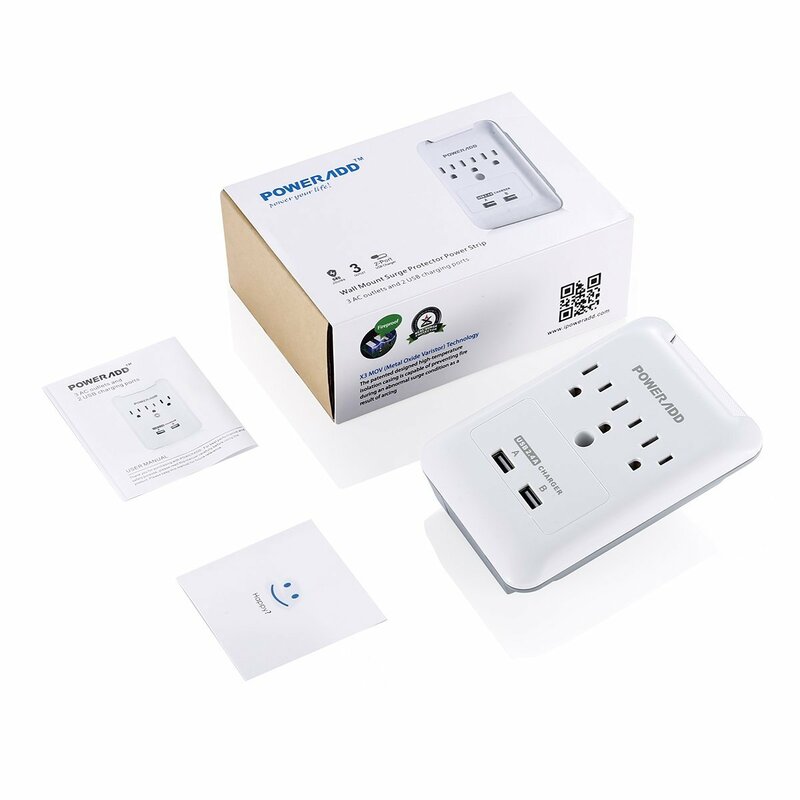 It has 3 AC outlets for connecting 3 electrical appliances at home or in office, and 2 USB ports for charging your USB devices, like your tablet, smartphone etc. 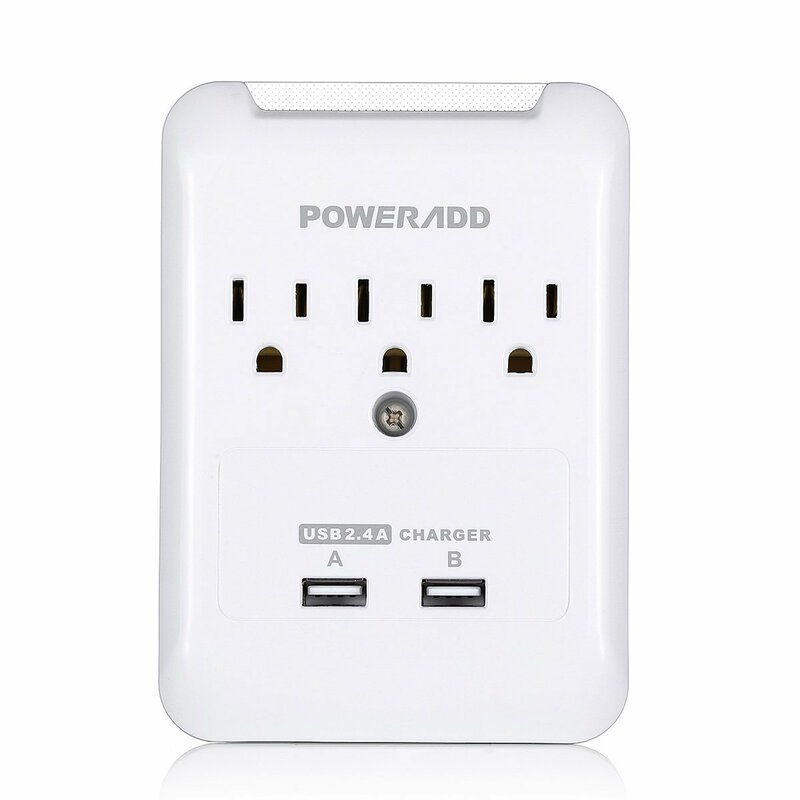 The 2 USB ports are rated 5V 2.4A in total for the charging output current. 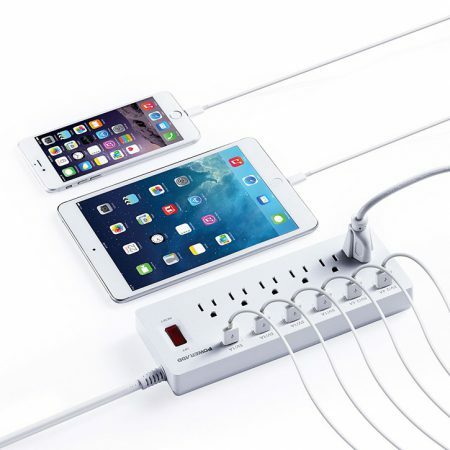 We recommend you use Port A for quick charging. 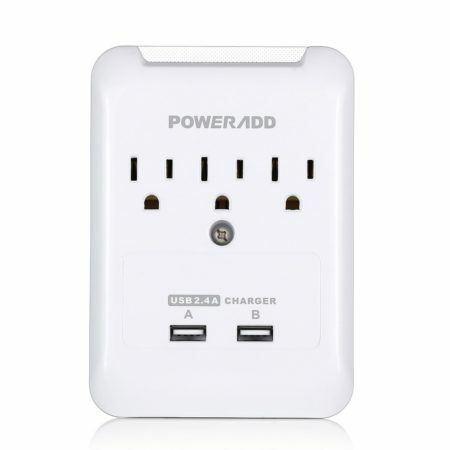 This wall mount USB power strip has smart LED indicators showing the current loading status for your devices. 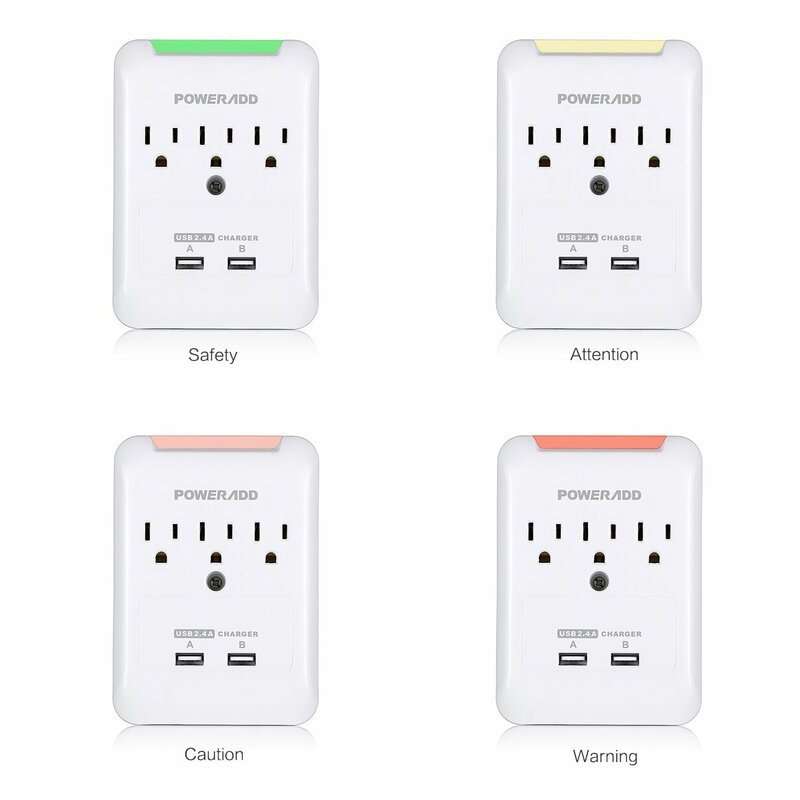 Warning status: orange: 76%~85%; red: 86%~95%; red flashing: 96%(near overload).